In this monumental study, Lundberg traces the illegal origins of the family fortune and follows its growth and effects down through today. He is at his best when he zeroes in on the grandsons: John the third, Laurance, Winthrop, Nelson and David. They are America’s shadowy guides with their fingers into hundreds of pies. And here is the carefully researched tale of who they are, how they operate and what they’re done with what they’re won. Won by inheritance, that is. Nor does Lundberg neglect the Cousins: the great-grandchildren of John D. Senior, who will one day inherit it all. 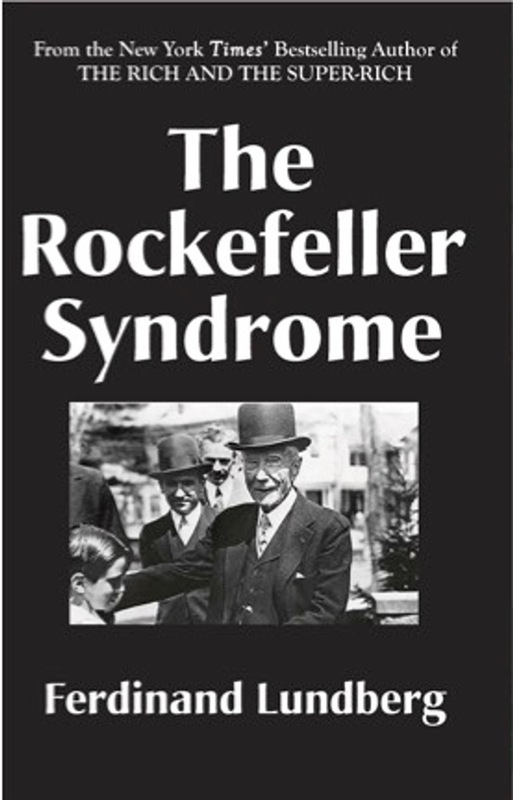 THE ROCKEFELLER SYNDROME is no mere chit-chat biography. It is a wide-ranging study of wielded power and money in action. It is the chronicle of the on-going milking and deception of the American wage-earner and taxpayer. It explains clearly how those much-hailed philanthropies are but one more heavy burden on the inflation-laden, tax-weary backs of lower and middle-class America. 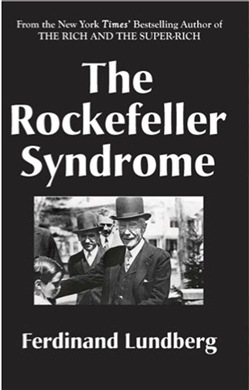 Acquista The Rockefeller Syndrome in Epub: dopo aver letto l’ebook The Rockefeller Syndrome di Ferdinand Lundberg ti invitiamo a lasciarci una Recensione qui sotto: sarà utile agli utenti che non abbiano ancora letto questo libro e che vogliano avere delle opinioni altrui. L’opinione su di un libro è molto soggettiva e per questo leggere eventuali recensioni negative non ci dovrà frenare dall’acquisto, anzi dovrà spingerci ad acquistare il libro in fretta per poter dire la nostra ed eventualmente smentire quanto commentato da altri, contribuendo ad arricchire più possibile i commenti e dare sempre più spunti di confronto al pubblico online.